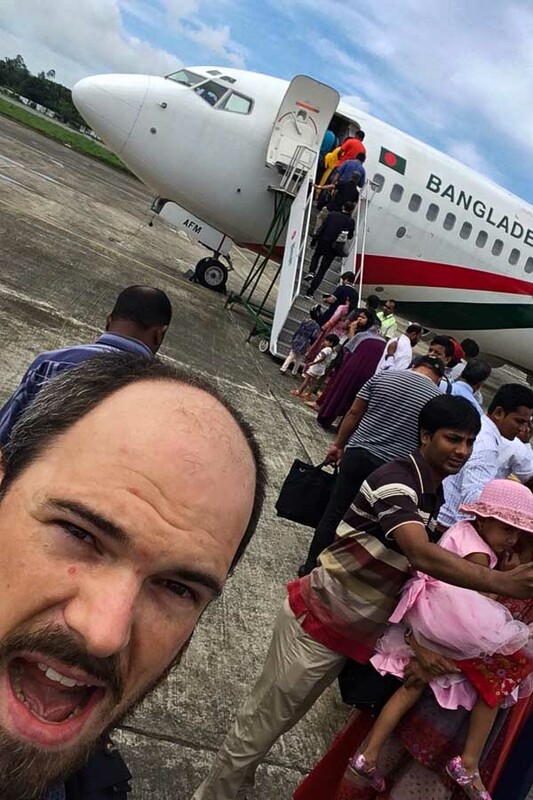 On Saturday afternoon I arrived at Cox’s Bazar airport for my flight to Dhaka to apply for a visa extension at the Bangladesh immigration and passport office. The airport metal detector beeped loudly even though I had no metal or dense shoes on, but the security guy just gave me a fake pat down and waved me into the airport anyways. My backpack rolled through the x-ray machine on the left side of the entrance. Now standing in the crowded check-in hall, the airline staff said there’d be a half hour delay before issuing boarding passes. I heard a banging noise near the entrance, so I looked back. 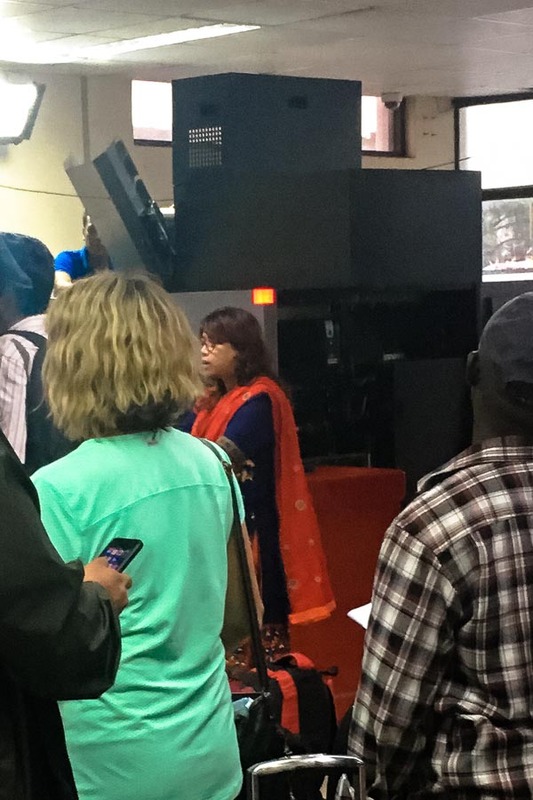 A technician was standing on a wooden table, performing percussive maintenance against the side of the second x-ray machine with a crescent wrench. Two red indicators were brightly lit up with the words “X-RAY ON”. The sides of the machine were open. The technician jumped down, pushed some buttons on a control panel, jumped back up, hit the machine some more with his wrench. X-rays flew through the room, or so I imagined. I kept my distance, hoping I want being irradiated. 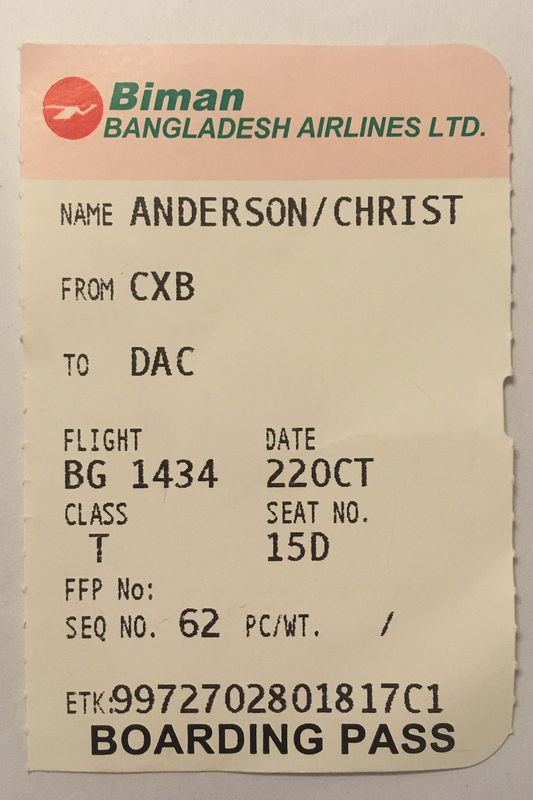 A few minutes later they announced the flight was cancelled due to bad weather in Dhaka; come back in the morning. Sunday morning I caught my 43rd flight of 2017, which was my 400th flight in my lifetime. That second x-ray machine was still out of service. 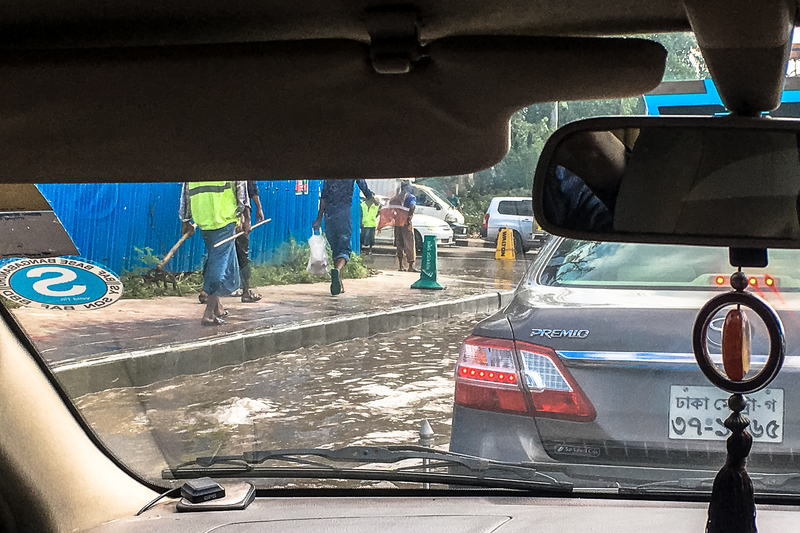 The weather on arrival in Dhaka was clear and sunny, with a few floodwaters.